A classy design similar to a free-standing bollard light only conveniently wall mounted leaving maximum floor space within your property. 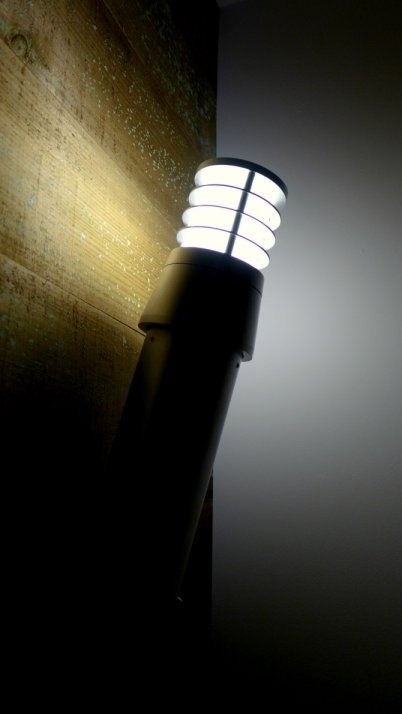 Large exterior wall light perfect for adding illumination to any exterior wall or garden path. 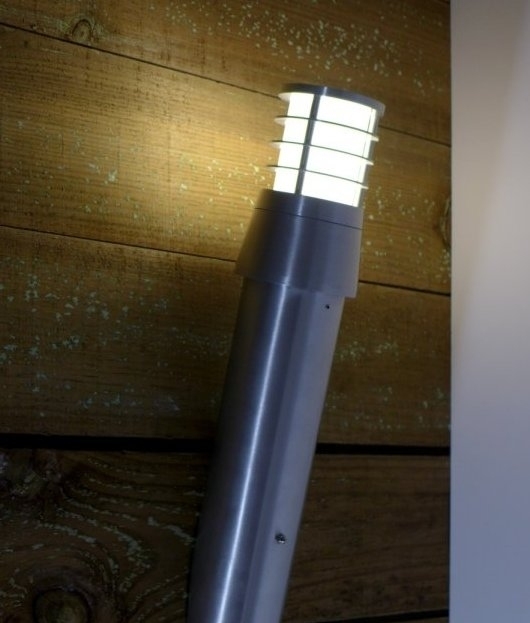 Add extra security to your outdoor areas with this light, or use in multiples along your driveway to create a grand entrance. Based on an aluminium pipe section with 6mm wall thickness this is a real heavyweight, quality fitting. Excellent price, in stock, ready for quick dispatch, grab one now whilst we have stock! Mounted at a 15° angle. IP54 rated, providing protection from dust interference and protection from splashed water. Supplied with integral magnetic ballast. 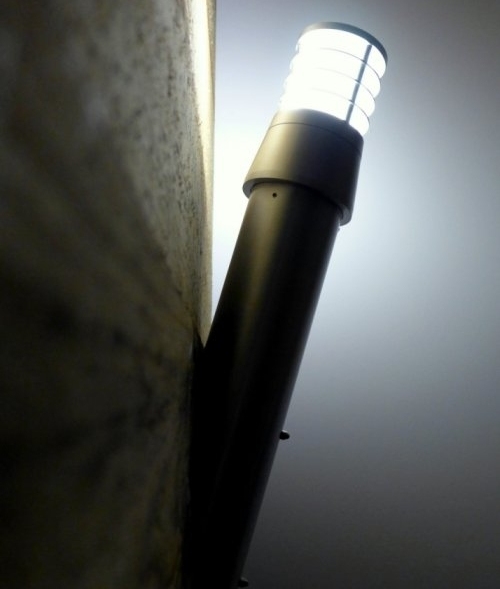 Designed for a 10w max PL-C (2 pin) lamp, not included.